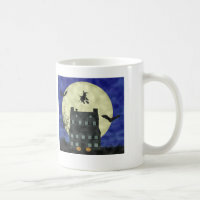 My Zazzle and Cafepress Stores – Check Them Out! Many of you know from my posts that several months ago I opened Zazzle and Cafepress stores. I really enjoy working with graphics and decided to put some of them out there instead of just leaving them sitting in computer folders never to be seen by anyone but myself. Honestly, I think some of the merchandise is a little pricey, especially in light of how little the designers make, but there is the unique factor and the ability to personalize items. I’d love for you to visit my stores, check out my artwork, give me feedback and pass the word around. If you are looking for something specific, contact me and I’ll try to come up with a design for you. Cafepress gives the ability to design window and shower curtains, duvet covers, blankets, pillowcases and more! Both print on demand services are great for coming up with one of a kind personalized gift ideas. Please forgive the mess my Cafepress store is in. I still have a lot of organizing to do.